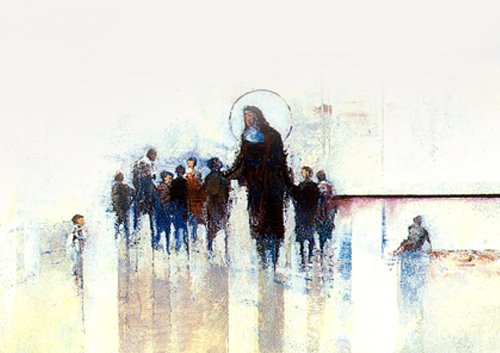 The way in which he described their wants [the neglected poor children of SA] so completely agreed with all my previous desires that when he asked me whether I would remain and become one of his first children in the work, I joyfully consented. 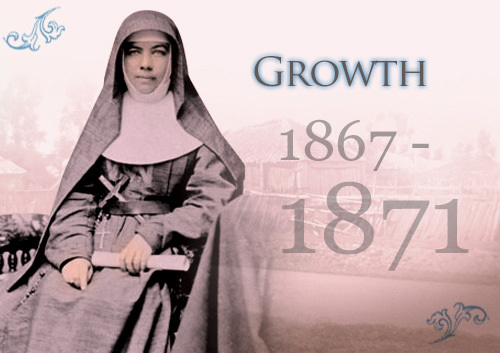 With her formal teaching qualifications under her belt, January 1866 saw Mary and her sisters, Annie and Lexie, settled in Penola and running a Catholic School according to the vision espoused by herself and Father Woods. While their teaching was strictly Catholic, their school was open to any child who wished to learn and they accepted and educated, without distinction, those who could pay for their education and those who could not. They taught in the stable that Mary’s brother, John, had renovated for them, until the opening of Father Woods’ new schoolhouse next door to the church. Mary offered all students an opportunity to learn. While religion permeated her teaching, she ensured that the children could read and understand the written word, write simple letters correctly and do enough mathematics to be able to manage their finances adequately. 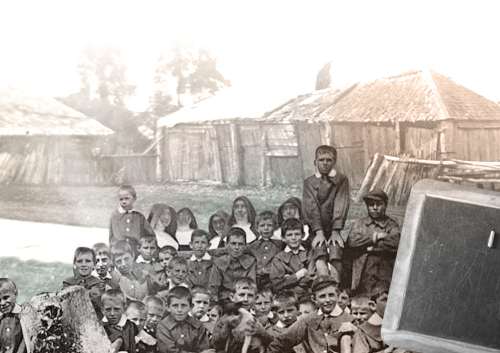 She encouraged all children to attend her school and, after her move to Adelaide, provided the poorest of them with suitable school clothes. Mary offered all students the opportunity to learn. In her eyes, all children were equal and deserving of equal treatment. Mary publicly declared her intention to serve God as a religious sister on 19 March 1866, the feast of St Joseph, when she appeared in a black dress and signed off as ‘Mary, Sister of St Joseph’ for the first time. 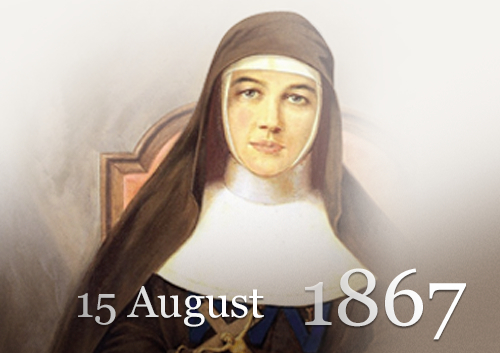 On 15 August 1867, she pronounced her religious vows and became Sister Mary of the Cross. 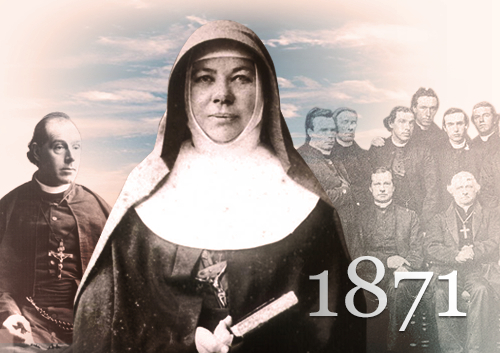 By 8 December 1869, the day when she made her final profession, there were 82 Sisters managing 23 schools, an orphanage, a refuge for women in need of protection and a House of Providence for homeless and vulnerable women of all ages. At the time, all were in South Australia. 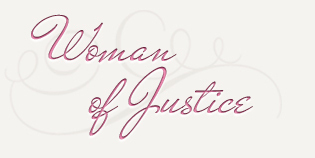 The Sisters set out to provide a basic education for the children of the poor. Within five years there were 127 Sisters working in 46 schools and four charitable institutions in the colonies of Queensland and South Australia. 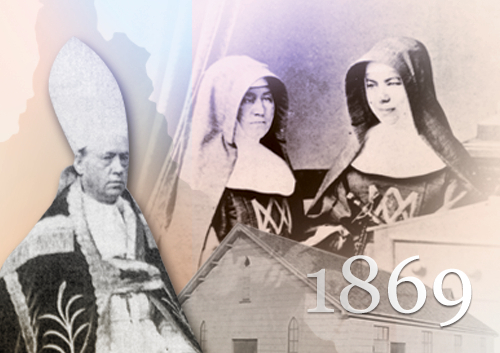 In 1869, Bishop James Quinn of Brisbane invited the Sisters of Saint Joseph to make a foundation in Queensland. Therefore, in December 1869, Mary and four companions left Adelaide for Brisbane. Life was hard for this little community because Bishop Quinn did not support the idea of Central Government for the Congregation. Even so, while there she reflected deeply on the meaning of Josephite religious life and came of age as a Sister and as a leader. Her correspondence indicates that she was developing an inner strength and an awareness of Church politics so that, by the time she returned to Adelaide, she was ready to cope with the biggest challenge yet faced by the Congregation and to lead her Sisters through it safely. The year 1871 saw Mary’s return to Adelaide, via Melbourne, Geelong and Penola. News that she had received during her travels, combined with Father Woods’ concerning letters, caused her to fear that all was not well among the Adelaide Sisters. 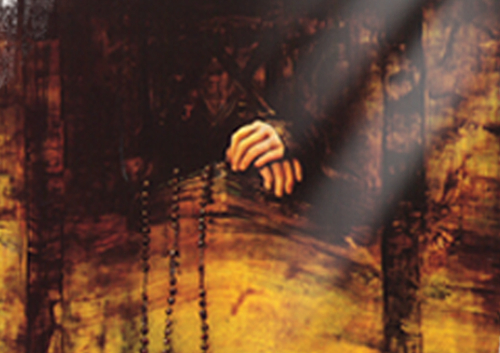 Then, when she arrived, Father Woods would not let her go to the Mother House. Instead, he sent her with two Sisters to make a new foundation in distant Port Augusta. He was overworked and appeared to be on the verge of a breakdown. Several priests had complained about him to the Bishop, adding that the Sisters were poorly trained and incapable of educating the children adequately and were imposing an unbearable financial burden on the diocese. The bishop succumbed to their pressure. He sent Father Woods away from the diocese and attempted to force Mary and the Sisters to make significant changes to their Rule of Life. 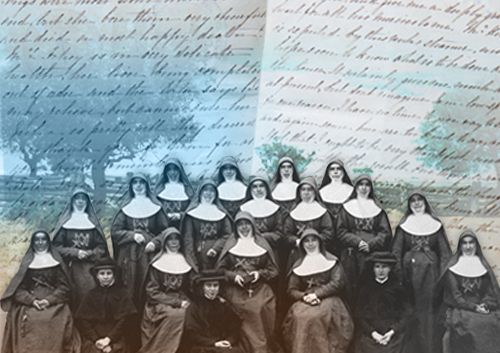 By April 1871, there were more than 120 Sisters of Saint Joseph. Of these, 86 had made their first profession, 31 were novices and seven were new arrivals or postulants. All were busily engaged in their 46 schools and four charitable institutions, which were spread across the colonies of Queensland and South Australia. While the Congregation appeared to be flourishing, trouble was brewing in Adelaide. Hence, soon after her time in Port Augusta Mary set out to visit every little convent in the colony. She travelled by sea, by train or by coach as she covered the long distances between these convents. Thanks to growing tensions in Adelaide, however, she was unable to complete her mission. Even so, it marked the beginning of what became for her a lifelong mission—the support of the Sisters and the oversight of their ministries.